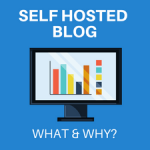 Over the last few months I’ve gotten a ton of questions from bloggers who are looking for a month to month webhosting plan. …and I have some AMAZING news to share with you. Most web hosting companies require that you pay annually for their services. But after a lot of research, I finally found the best month to month webhosting and can’t wait to share it with you. What is Monthly Web Hosting? While most hosting providers show the monthly cost for their services, you can only get that price if you pay for an entire year upfront. 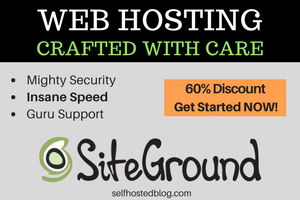 Many bloggers who want to get started with self-hosted WordPress are not able to pay in advance. The solution is a month-to-month hosting plan. It’s rare but I found a great one! This means that you pay each month instead of a year in advance. The cost per month is a little higher but it’s a great solution for you if you can’t pay the annual fee. It will give you a chance to monetize your blog and earn some income. GreenGeeks is a green hosting provider that uses the latest speed technology for blazing fast page loads. Speed of your WordPress blog matters since it is a Google search engine ranking factor! 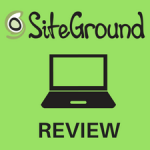 They offer just one hosting plan: EcoSite Starter. It makes it simple to choose the best one! You’ll find the only difference in pricing is in the timeframe you choose. The yearly plans require payment now but you’ll get a lower “monthly” cost. Check out the GreenGeeks WordPress hosting plan! 3 years: $3.95 per month. Pay $142.20 now. 2 years: $4.95 per month. Pay $118.80 now. 1 year: $5.95 per month. Pay $71.40 now. Monthly: $9.95 per month. Pay $24.95 in first month, including a $15.00 setup fee and recurring $9.95 thereafter. You can see that the best deal for hosting is the 3 year plan. You can go with the monthly plan if the others are out of reach for you right now. Why Choose GreenGeeks Web Hosting for WordPress? There are plenty of web hosting providers to choose from. So what is so special about GreenGeeks? Well… they do offer the month to month hosting payment which is quite rare these days. But aside from that, there are other features that I love! Website speed: GreenGeeks uses the latest technology to make your website blazing fast! Believe me, you can lose a lot of traction online if your website is too slow. People don’t want to wait for your site to load. GreenGeek uses a number of technologies including PowerCacher, their customized in-house caching technology allows us to serve your favorite applications efficiently and reliably. Enhanced security and reliability: Your hosting account is isolated so that no single user can impact another regardless of site traffic or computing resource demands. I’ve had nightmare experiences at other hosts that didn’t do this and other people sites impacted mine! You don’t need to worry about with GreenGeeks. Environmentally Responsible Platform: If you care about the environment, that’s another reason to love GreenGeeks. Their hosting platform has been designed with a maximum use, no waste of resources mindset. Every aspect of it is built to be as energy efficient as possible. Muliple sites on one account! Grab your month to month hosting with GreenGeeks! Go to GreenGeeks home page. Register a new domain name. Click Check Availability and follow the instructions. 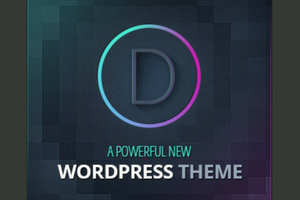 Enter an existing domain name that you plan to use for your WordPress site. On the signup page, enter your Account Information. Under Package Information, choose Eco Starter Monthly – $9.95/month. The total will appear next to Order Total. Of course if you want a better deal, choose one of the yearly plans. Fill in your payment information and then click Create Account & Get Started. In just a few minutes, your new GreenGeeks account will be setup. You will receive an email with your log in information. 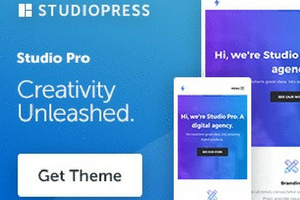 Lucky for you the WordPress installation is simple! You don’t have to manually download or install anything. You’ll be doing the one-click WordPress install from your GreenGeeks cPanel login. Log into your GreenGeeks account and access your cPanel. From the Softaculous script window, click the “Install Now” button in the description. Choose the options you want for your WordPress installation. When you have finished, click Install. The installation will begin and you’ll be notified when it has finished. Two links will be provided. One is the URL of your new website while the other is the admin address. Click the link next to “Administrative URL” to visit the login screen and access your site. You’ll have to connect your domain name to your new webhosting account. Check out my article on How to Connect your Domain Name to WordPress. It was written with a different hosting provider as example but the basics are the same. Finding a great webhosting monthly billing provider is a challenge. After much research, I’ve found GreenGeeks WordPress webhosting. 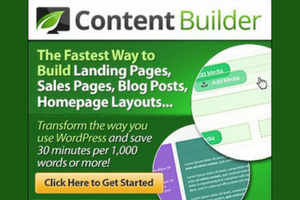 They have all the qualities of a great host for WordPress and give you options for how to pay. 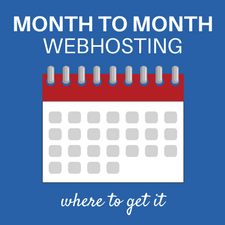 Ready to get started with month-to-month webhosting? 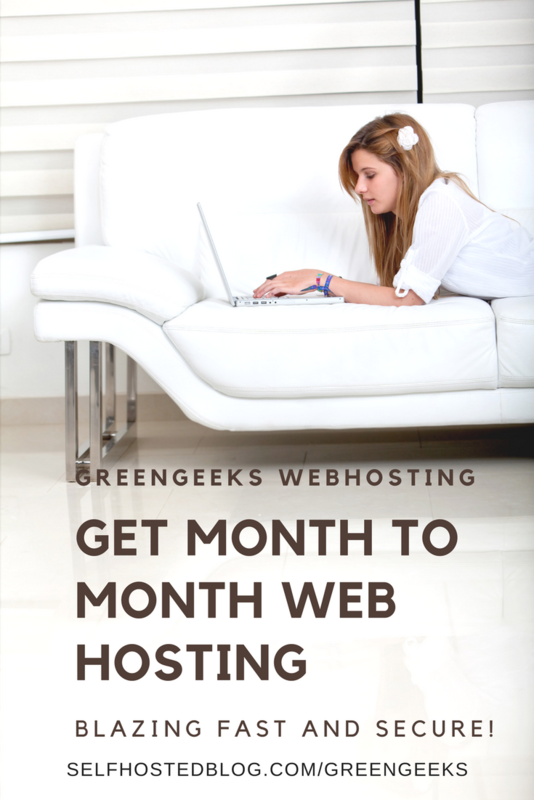 Click here to grab your GreenGeek webhosting plan now!